Sometimes on the road to the Kentucky Derby, it’s not the horse that wins a prep race that makes the biggest impression. Take Saturday’s Fountain of Youth Stakes, for example. 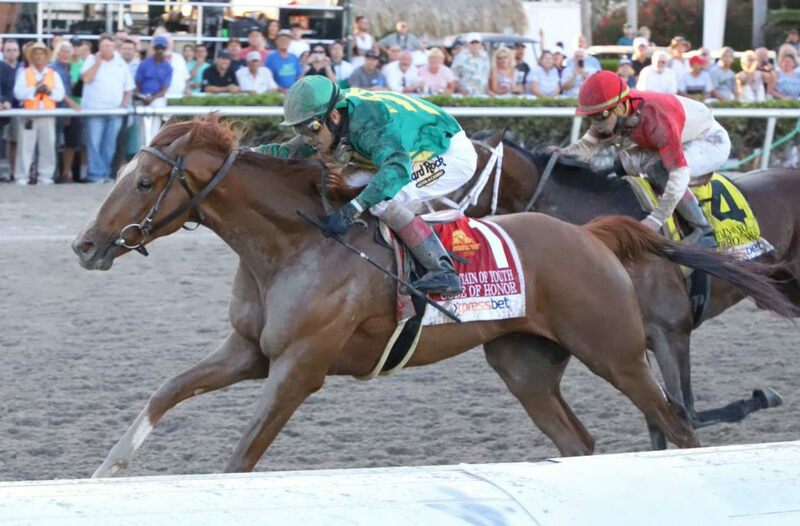 Code of Honor won the race at Gulfstream Park and earned 50 points to put him in second place in the Derby point standings. However, second-place finisher Bourbon War attracted attention for the way he closed the race. 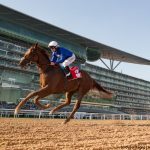 Bourbon War was fifth as the horses hit the top of the stretch, some six lengths behind then front-running Hidden Scroll. As Code of Honor overtook a fading Hidden Scroll, it seemed like he would win the race going away, only to see Bourbon War mount a late charge. Code of Honor ended up winning the 1-1/16-mile race by less than a length. With the Kentucky Derby a 1-1/4-mile race, some wondered if the Mark Hennig-trained colt might have passed Code of Honor and won at the longer distance. “I don’t know if you always get that pace set up, but I think he’s proven he doesn’t need a pace set up. If they’re going slower, he’ll race a little closer,” Hennig concluded. Over at William Hill, the top two horses from the Fountain of Youth saw their Derby futures odds dip dramatically. Code of Honor went from 35-1 down to 8-1, making him one of three colts tied for the third choice. Instagrand and War of Will, who won the Risen Star Stakes two weeks ago, are also at those odds. Bourbon War, who now ranks fourth in the Derby points standings, is among three horses at the next tier, receiving 12-1 odds. While those two saw their chances rise, other Derby contenders saw their odds take a hit. Vekoma, who finished third, saw his odds at William Hill go from 18-1 to 20-1. Hidden Scroll, who entered the race as the second selection in the Derby futures with 5-1 odds, saw his odds increase to 25-1. Signalman, who finished seventh in the Fountain of Youth, saw his odds go from 30-1 to 75-1 on Sunday. Game Winner, the 2018 Breeders’ Cup Juvenile winner who has yet to race this year, remains William Hill’s top futures choice at 9-2. 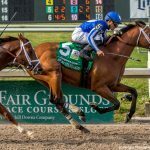 If the connections to Code of Honor and Bourbon War have their way, we could see a rematch between the two colts at the end of the month’s Grade I Florida Derby. The winner of that race gets 100 points toward entry in the Kentucky Derby, which will take up to 20 horses to run on May 4. 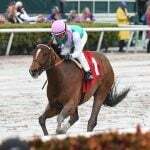 The Florida Derby, which will be run on March 30, is a 1-1/8-mile race. Shug McGaughey, the hall of fame trainer for Code of Honor, said he doesn’t expect the distance to be an issue for his colt. Before then, the Kentucky Derby picture should get a little clearer with additional prep races taking place across the country. This weekend offers a plethora of races to showcase Derby contenders. 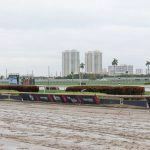 The Gotham Stakes at New York’s Aqueduct, the Tampa Bay Derby at Tampa Bay Downs, and Santa Anita Park’s San Felipe all offer 50 points each to their respective race winners.